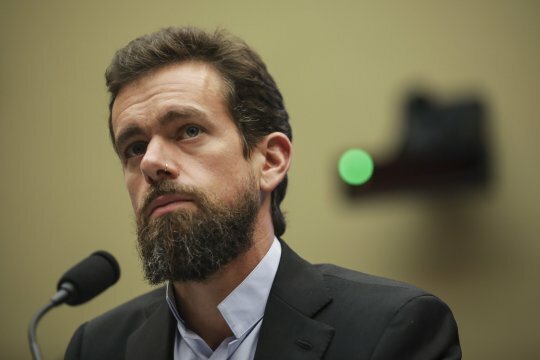 Jack Dorsey has poured cold water on the idea that having lots of followers the aim of the game on Twitter. The bearded billionaire was giving a talk in New Delhi, India when he said that implementing the follower count metric was, in hindsight, probably not that good of an idea. ‘Back then, we were not really thinking about all the dynamics that could ensue afterwards,’ he said, according to Slashdot. When he helped co-found the social network in 2006, he says that they made the follower count a little bit bigger on the page. When you logged in, your eye was drawn to the count and, naturally, most people wanted to increase it. ‘That may have been right 12 years ago, but I don’t think it is right today,’ Dorsey said. ‘I don’t think that’s the number you should be focused on. I think what is more important is the number of meaningful conversations you’re having on the platform. ‘How many times do you receive a reply?’ The comments come as Twitter is in the midst of making some more big changes to try and limit the spread of fake accounts. ‘Over the years, we’ve locked accounts when we detected sudden changes in account behavior. In these situations, we reach out to the owners of the accounts and unless they validate the account and reset their passwords, we keep them locked with no ability to log in. A recent crackdown on fake users meant that the official Twitter account itself lost 2.4 million followers. But from the sounds of things, Jack’s not too bothered about that.